Summer should be a time to slow down and relax—in theory the perfect time to take better care and nurture yourself. But with this high-activity season in full bloom and vacations looming, making wellness a priority can seem impossible. 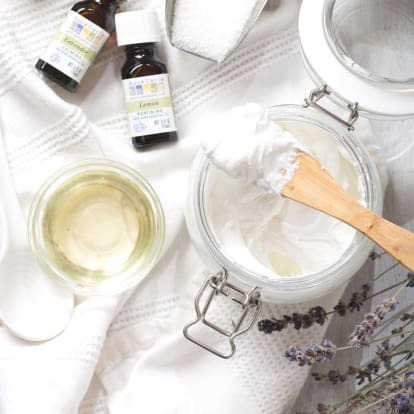 It’s easier than you think to incorporate healthy practices into your daily summer activities—and it’s particularly enjoyable when you incorporate the pleasurable scents and restorative benefits of aromatherapy. 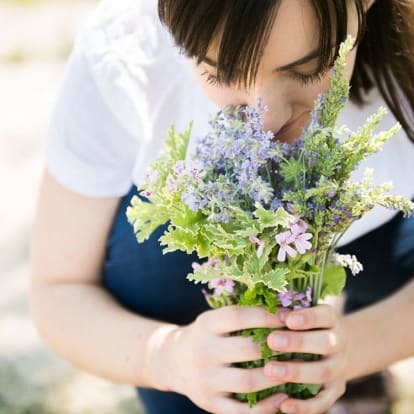 "Aromatherapy is an increasingly popular topic these days—people want to know what it is and how to use those precious little oils to enhance their lives," said Charlynn Avery, Aura Cacia aromatherapist and national educator. "When it comes to essential oil use, it just takes some basic knowledge and a bit of creativity. Once you get started, you will find it is quite easy to blend your own products." 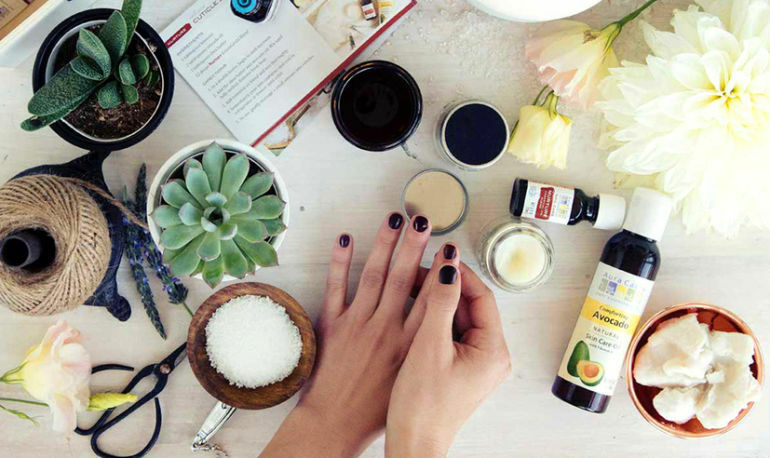 Essential oils are more than simple fragrances that can freshen up a room or make our skin smell better. Essential oils are pure, volatile oils extracted directly from plants and have many functions within the plant. Their efficacy comes from their chemistry—naturally occurring constituents that determine how best they are used to support our health and well-being. 1. Wind down with lavender. Who doesn’t love summer nights? We love them so much, it’s often hard to wind down at the end of a particularly stimulating summer day. Cultivate a new end-of-day calming practice that includes relaxing rituals like gentle yoga, massage, a cool bath, or just curling up in bed with a good book. 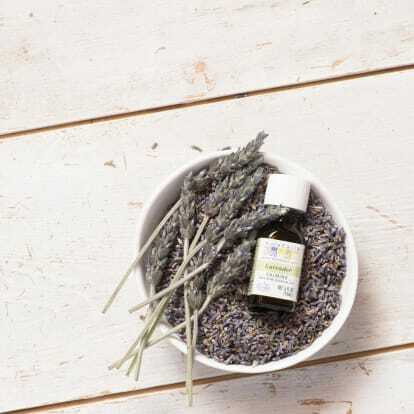 Top Tip: To promote a feeling of calm, diffuse this lavender oat bath tea, or add a few drops on your pillow. 2. Brighten your spirit with lemon. Most of us can’t be outside enjoying the weather every moment of every summer day, so it’s great to take a "sunshine" break when you’re stuck indoors. Set aside a few minutes midday to pause, reflect, and let your spirit shine. If sunshine could be captured in a fruit, it would be lemon. Expressed from the peel of the fresh fruit, lemon oil is a bright, sweetly scented, renewing oil. Top Tip: Brighten your spirit and give your hands a treat with this lemon and lavender hand cream. This summer, instead of rolling out of bed and hitting the coffee machine, try waking up with peppermint oil. If you want to exercise in the morning but still feel sluggish after a full night’s sleep, you’ll find this is a quick way to wake up and get right to your workout. Top Tip: Diffuse in the morning as you go through your normal self-care routine, or pack a peppermint essential oil roll-on in your gym bag and take a good whiff before beginning your workout. A daily meditation practice doesn’t have to take a lot of time to reap its many benefits. Summer is the perfect time to get outside and even enjoy a walking meditation. Frankincense has been used since ancient times as a part of meditation practice. Top Tip: Try this meditation diffusion recipe to help ease you into relaxation. 5. Find inner calm with chamomile. Summer schedules are bound to shake even the most practiced yogi’s inner calm. Between deadlines, vacations, and events, it can be overwhelming when all you want to do is be outside in the summer sun. But there are some fast and easy ways to find your inner calm at the office, at home, or on the go. Try taking a five-minute walk or meditation break, practicing a focused breathing exercise, or repeating a calming mantra. Chamomile tea is one of the most commonly used beverages for relaxation and sleep—and, of course, chamomile essential oil can offer much of the same, only more. With a relaxing and calming aroma, chamomile encourages inner harmony. Top Tip: Try freshening up during the day with this chamomile and lavender face mist, which can help reset your space in a pinch.